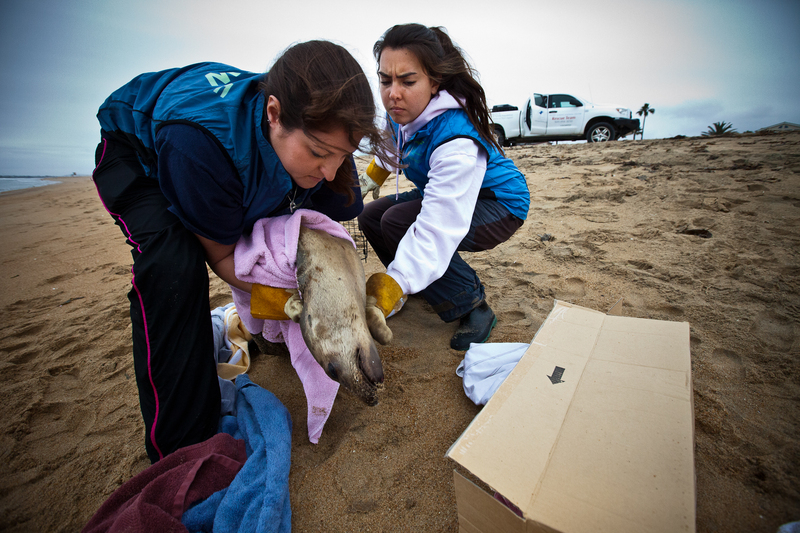 Volunteers from the Pacific Marine Mammal Center in Laguna Beach, California, rescue a sea lion pup on Sunset Beach. He was the second of three rescues called in that day. So far more than 1,300 pups have stranded in Southern California. This pup was weak and lethargic, suffering from hypothermia. "Just so you know, this animal is in really bad shape," says volunteer rescue worker Priscilla Salazar. "It's probably not going to live." A local man sat with the pup for hours at one point running home to microwave towels to try and keep the pup warm.